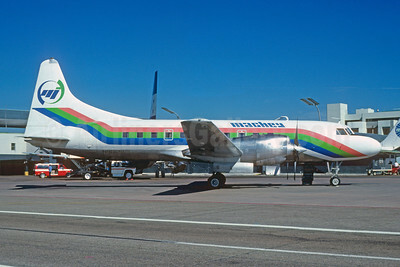 (MI) (Fort Lauderdale/Hollywood) 1967 - 1981. Photos. Framable Color Prints and Posters. Digital Sharp Images. Aviation Gifts. Slide Shows. 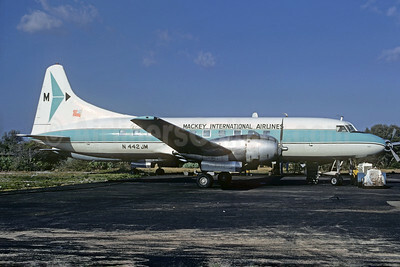 Mackey International Air Commuter (2nd) Convair 440-86 N4440-86 N440JM (msn 434) FLL (Christian Volpati Collection). Image: 909590. 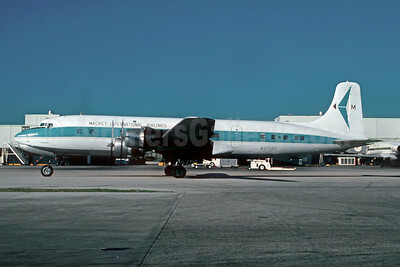 Mackey International Airlines (2nd) Convair 440-61 N444JM (msn 444) FLL (Christian Volpati Collection). Image: 909589. 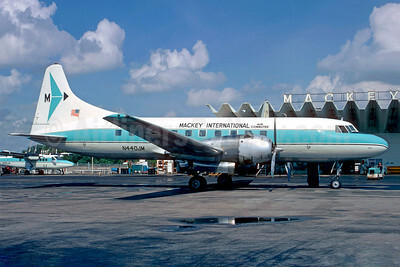 Mackey International Airlines (2nd) Convair 440-86 N442JM (msn 438) FLL (Bruce Drum). Image: 104192. 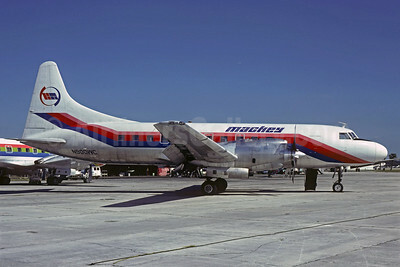 Mackey International Airlines (2nd) Convair 440-86 N9307 (msn 421) FLL (Bruce Drum). Image: 102586. 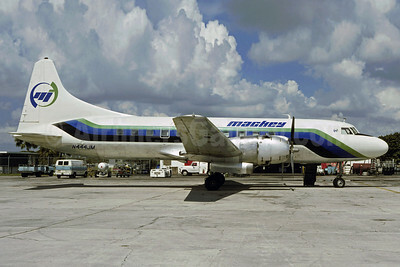 Mackey International Airlines (2nd) Convair 580 N900WC (msn 110) FLL (Christian Volpati Collection). Image: 909591. 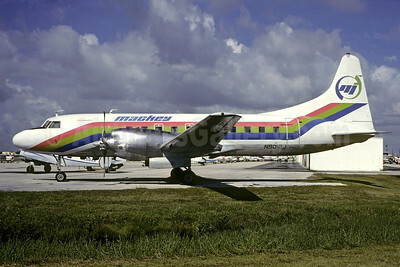 Mackey International Airlines (2nd) Convair 580 N9012J (msn 56) FLL (Christian Volpati Collection). Image: 909592. 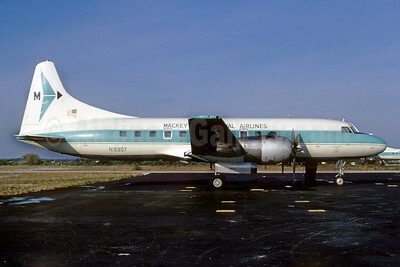 Mackey International Airlines (2nd) Convair 580 N9012J (msn 56) MIA (Bruce Drum). Image: 102587. Mackey International Airlines (2nd) Douglas DC-6B N37580 (msn 45132) MIA (Bruce Drum). Image: 102588. 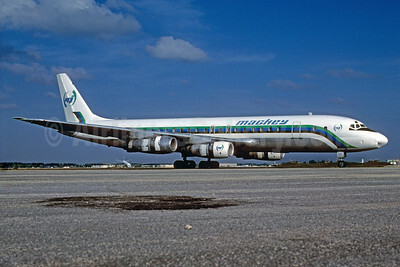 Mackey International Airlines (2nd) McDonnell Douglas DC-8-51 N821E (msn 45877) OPF (Bruce Drum). Image: 102589.